If you are asking yourself, “Oh yeah…when is Amazon Prime Day?” then consider this post your nudge to start planning. Be sure to mark July 15th as Prime Day on your calendar in perpetuity because that is its official date every year. Prime Day promises to be the busiest 24 hours for Amazon Sellers. This is the day deals are exclusively offered to Prime Members. It also can make or break a Seller’s year. So let us “make” your year. Amazon Prime U.S. memberships grew by over 47 percent in 2015. In an analysis by the research company CIRP, there are an estimated 54 million U.S. Prime members that spend nearly twice as much as non-members. The biggest jump in membership is on Prime Day since they offer thousands of deals – more than double during Black Friday. Amazon says it will offer new deals as often as every 10 minutes. They are arranged into two types: Lightning Deals and Deals of the Day. Offers that run throughout the day are subject to availability. 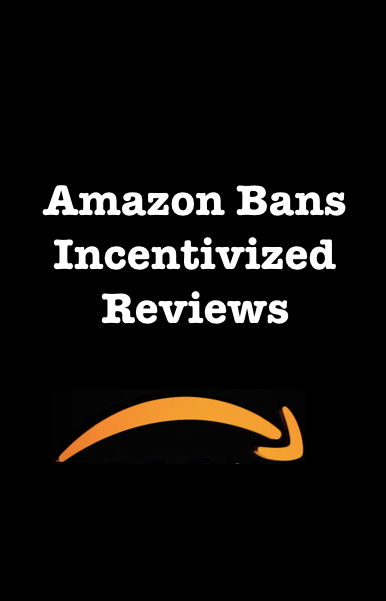 Based on performance, sales potential, pricing (if more than $10), and that products are FBA; you may grab Amazon’s attention and receive an invitation to offer a deal. That just feels too passive and a bit like waiting for the phone to ring. So I contacted Seller Central and discovered that you can submit your deal for consideration. Make sure that it is at least a 20% discount from your normal price, yet no less than $10 and that it is an FBA product. There are no guarantees, yet perhaps you will have gotten more attention than had you just waited for an invite. That said, Amazon will definitely be getting a lot of traffic on Prime Day and the odds are in your favor that many people will land on your product page invitation or not. It is not too early to schedule out your action plans. In case you are looking for ways to meet the demand from a Prime Day sales boon; the following are 5 pro-active suggestions you may not have thought of before. 1. Consider Seller Fulfilled Prime. Since this Amazon event is a huge membership drive, Prime members are itching to take advantage of any deals and enjoy 2-day free shipping. FBA Sellers know the in’s and out’s of having Amazon manage fulfillment. But, did you know that Amazon created a DIY Prime service program called Seller Fulfilled Prime (SFP) for established Sellers with good performance ratings? It looks exactly like FBA to Prime buyers. As always, there are pro’s and con’s. must also be able to offer free shipping to Prime members who select delivery options that are slower than the Prime shipping benefits for which they are eligible. Sellers must offer all buyers free economy shipping for Prime items, regardless of whether the buyer is a Prime member. Read the qualifications here if this program is a viable option for your business. 2. Stock-up on Inventory. Like year end holidays, running out of stock should never be an option. Remember “subject to availability”? This is when you pad product acquisition lead times, especially for imported goods. Be sure to include any prep time for FBA shipments. 3. Put Your Best Price Forward. Sellers with highly competitive products get tempted to engage in a pricing battle especially on Prime Day. Before jumping into that game, make sure you are looking at all of your true costs. Imagine being in the red due to huge sales. An odd scenario to put yourself into and one that could close your business. Do your homework when it comes to setting your price even if it is just for a day. You can see what the lowest price is on your Manage Inventory page, then figure out what deal is most suitable for your company. You don’t have to be the lowest price to be successful…just competitive. Read on for more ways to stand out from the rest. 4. Generate More Reviews and Ratings. This is the big performance day that can get you priceless attention. Make sure your listing product photos are at pro level. Clean up your descriptions and keywords so that people can easily find your products during their search and give them every reason to click the Buy Now button while on your page. Reviews for ranking and sales conversion is extremely valuable. Now is the time to focus on earning those great Reviews in advance of July 15th. Without a doubt, what other buyers say influences purchasing decisions. Build your preparation plan with Review strategies. Click here for more insights. 5. Compete with Unique Bundling. Maybe some of your sku’s are slow sellers or have a narrow margin which virtually eliminates competing as stand alones with special offers. Take a step back and shift your perspective to your customers’ viewpoint. Can you create an appealing bundle that they could use? (Note: Neither of these examples are customers of iLoveToReview). This is another option that requires scheduling in advance to go through the preparation and Amazon application process. However, creative, practical Bundles can be a powerful option in grabbing customer attention and boosting sales. As the Amazon Seller, you are 100 percent responsible for all Amazon Prime Day preparations. If you are incorporating any of these suggestions, consider them a great way to test out which strategies work best for your A-business. Perhaps these will become new norms and keep you growing long after Prime Day has come and gone.